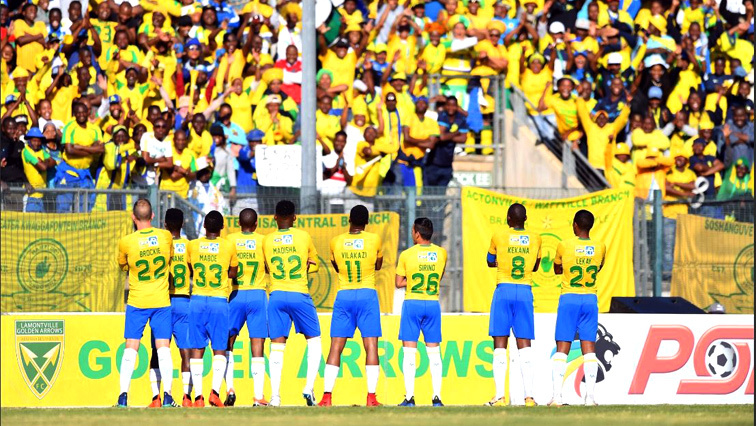 Sundowns looking to close gap to log leaders Wits - SABC News - Breaking news, special reports, world, business, sport coverage of all South African current events. Africa's news leader. The match is scheduled to kick-off at 19:30 on Wednesday. Mamelodi Sundowns have an opportunity to apply some pressure on ABSA Premiership log leaders, Bidvest Wits. The Brazilians, third on the log, host Black Leopards at Loftus Versfeld on Wednesday evening, hoping to close the gap to just three points with two games in hand. As they travel to Pretoria to face Mamelodi Sundowns, Leopards are still licking their wounds after last Sunday’s 3-0 defeat at Bloemfontein Celtic. Lidoda Duvha is currently 12th on the log with 20 points from 18 matches. If they can regain their recent form, a place in the top eight is within their reach. “We’ve done very well for six games, the players have been fantastic. It’s a step to go forward. Sometimes, I think people get carried away with what we have been doing. I always say ‘feet on the floor, head down, let’s focus on game by game. We got to prepare for Wednesday for the game against Mamelodi Sundowns,” says Black Leopards Coach Dylan Kerr. Sundowns are third on the log, six points behind Bidvest Wits with three games in hand. Sundowns will be looking to leap-frog Orlando Pirates who are second on the standings with 32 points from 18 matches. The Brazilians suffered a 2-0 loss at home to AmaZulu in their last league outing. They will be keen to make amends this time when they face Lidoda Duvha. This entry was posted on 06 Feb 2019,12:15PM at 12:15 PM and is filed under Sport, Homepage Featured Story Slider. You can follow any responses to this entry through the RSS 2.0 feed. Both comments and pings are currently closed.